I’m proud, thrilled and just a little bit tired. 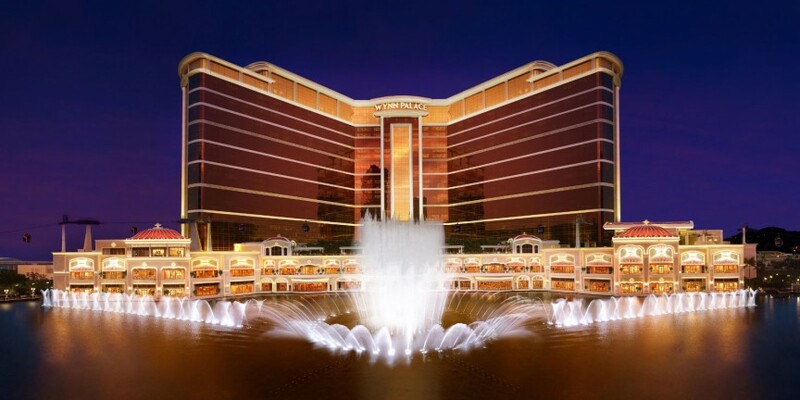 My biggest, most challenging project, the Wynn Palace Cotai, opens today in Macau. 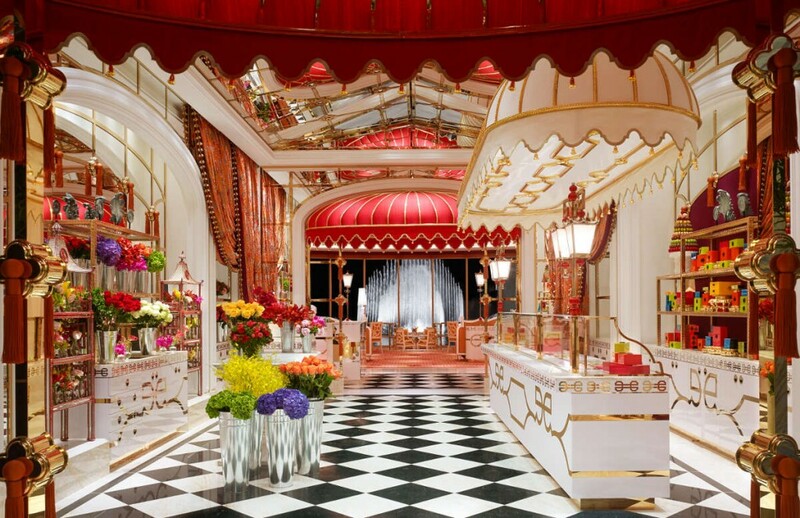 With 1,706 rooms, my instructions from Steve were to exceed even our own highest past standards, and I hope the world agrees that we have done so again. If so, it’s in large measure because of the extraordinary work of my own in-house team and our “guest star” designers. A special salute is in order to the talented creators of our collection of restaurants: Todd-Avery Lenahan for the SW Steakhouse ((Todd also designed the most luxurious, dramatic and glamorous spa ever created – I’ll hope to share some pictures soon), Vicente Wolf for Mizumi and Noodles 99, David Rockwell for Andrea’s. And a bouquet of gratitude is due Preston Bailey for his dramatic floral extravaganzas. 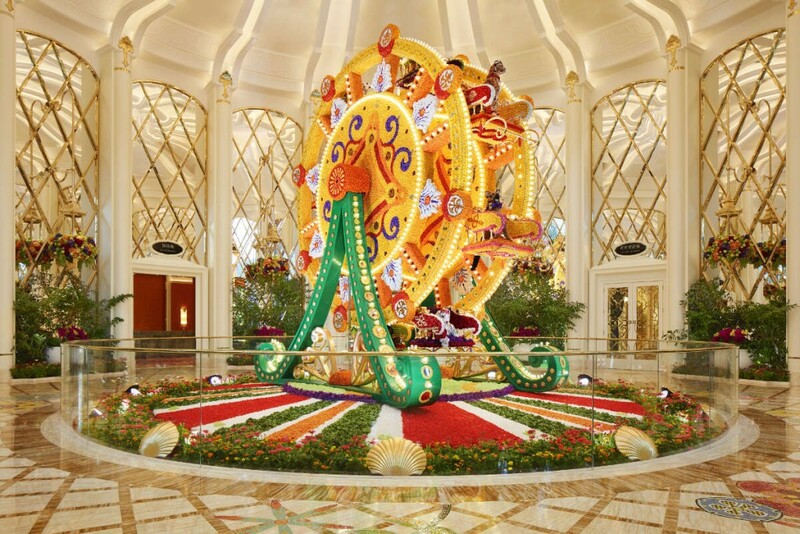 I hope you have the chance to visit Macau and see the whole rather amazing production. Meanwhile, I’m pleased to share a few photos and a video tour. 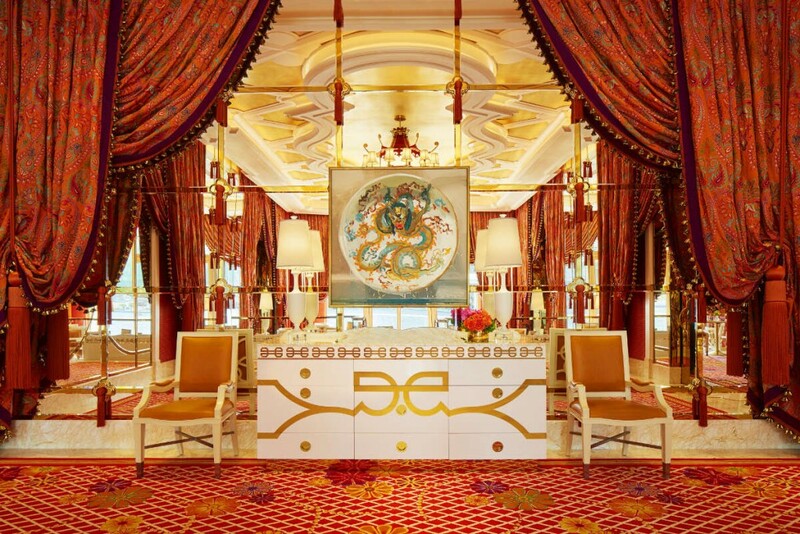 Wing Lei Palace is the ultimate expression of my fascination with Chinoiserie. 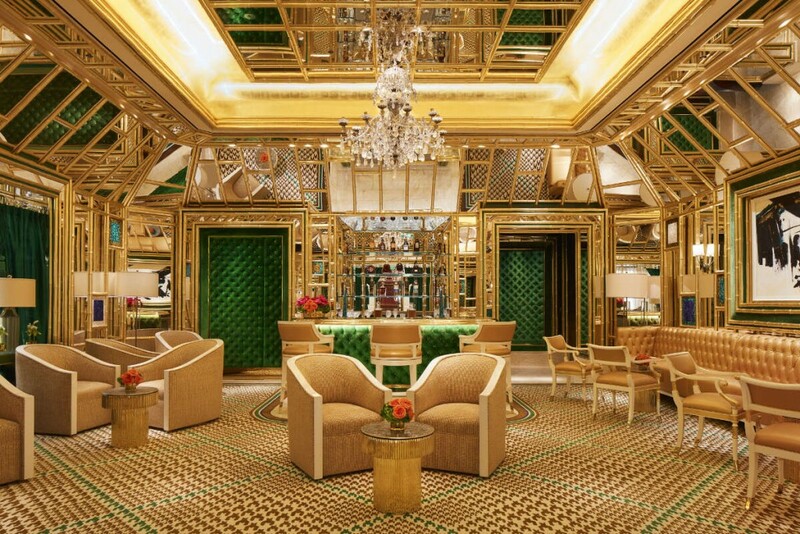 With a very impressive 18th-century rock crystal chandelier, Wing Lei Bar was conceived as a jewel box. 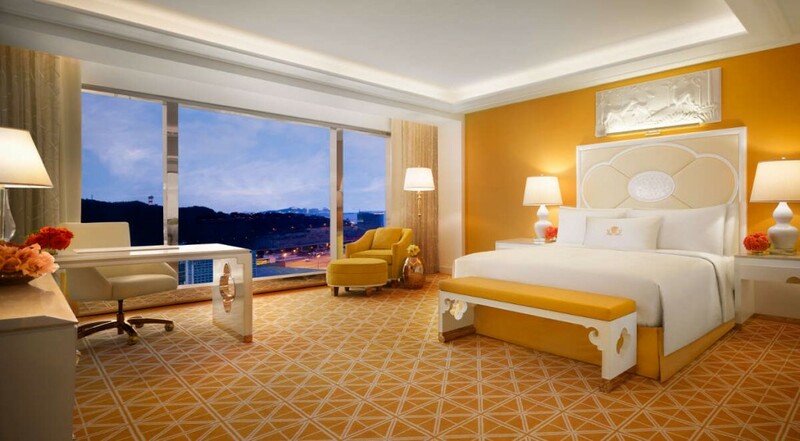 Guests can enjoy privacy at Wing Lei’s private rooms while enjoying the spectacle of the Performance Lake. 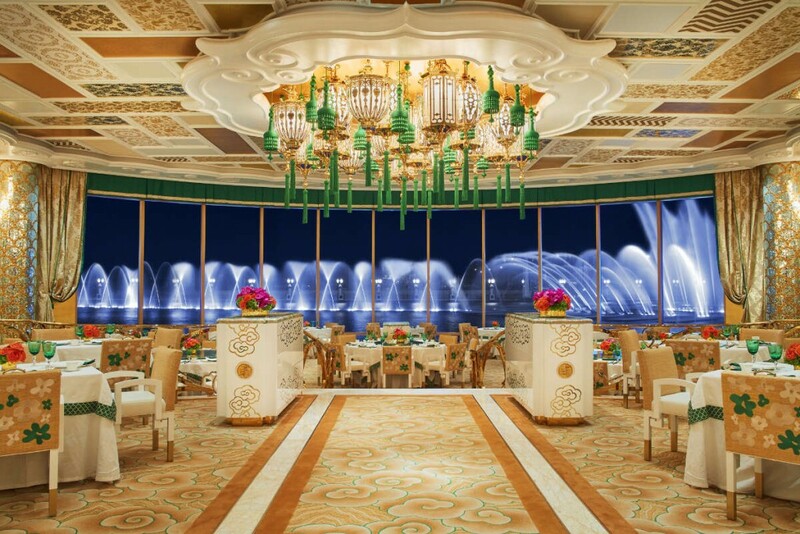 The Fontana Cafe offers delightful views to the Performance Lake. 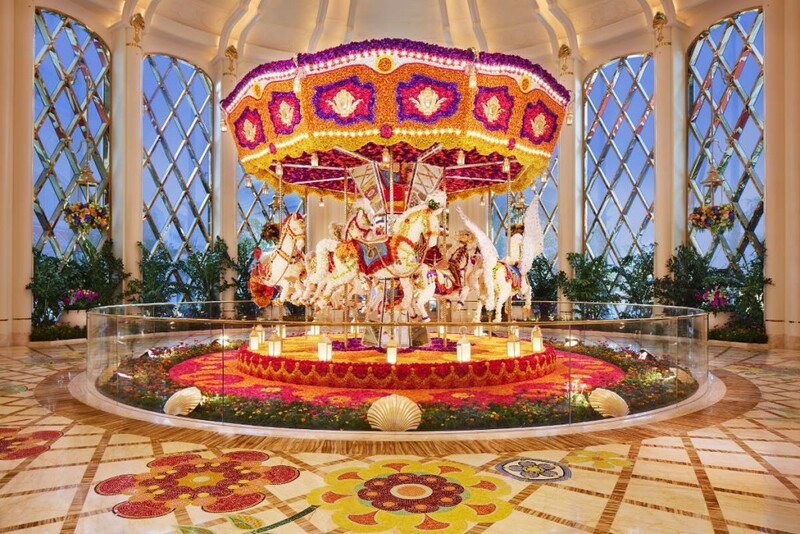 Reminiscent of childhood, this beautiful carousel is made with more than 83,000 flowers as varied as roses, peonies and others. An homage to golden years past, the Ferris Wheel is also a feat of ingenuity, with more than 103,000 flowers and weighing over five metric tons. 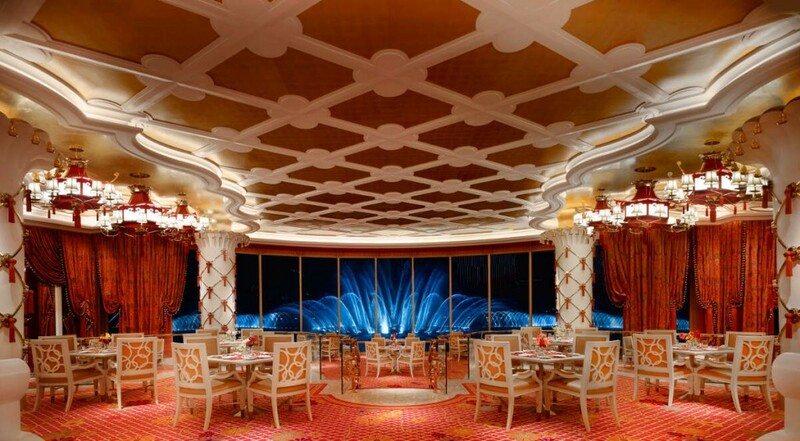 Dutch Artist Jan de Vlieger is the creator of a contemporary Chinoiserie-inspired oil hanging at Café Fontana. 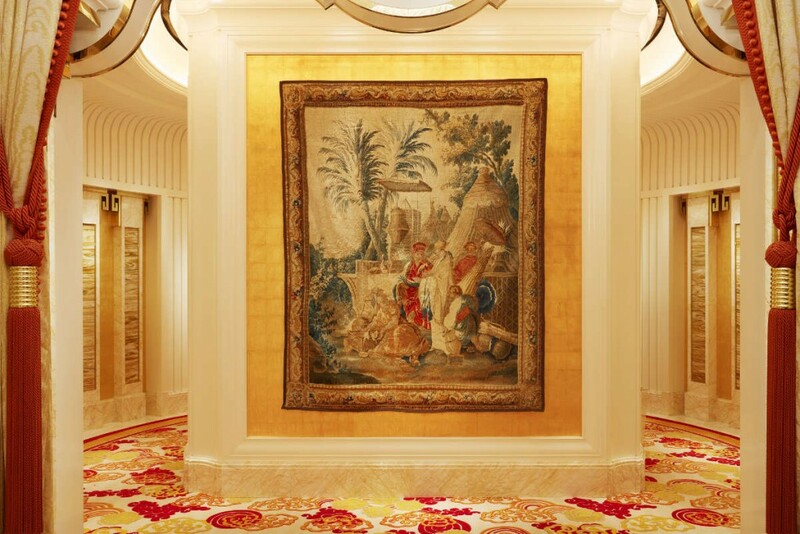 La Foire is one of a series of nine 18th-century tapestries, known as the The Story of the Emperor, woven with wool and silk thread. Viola Frey’s work follows in the tradition of ancient Greek vase painters in which heroes and humans of the day were illustrated in scenes of everyday life. 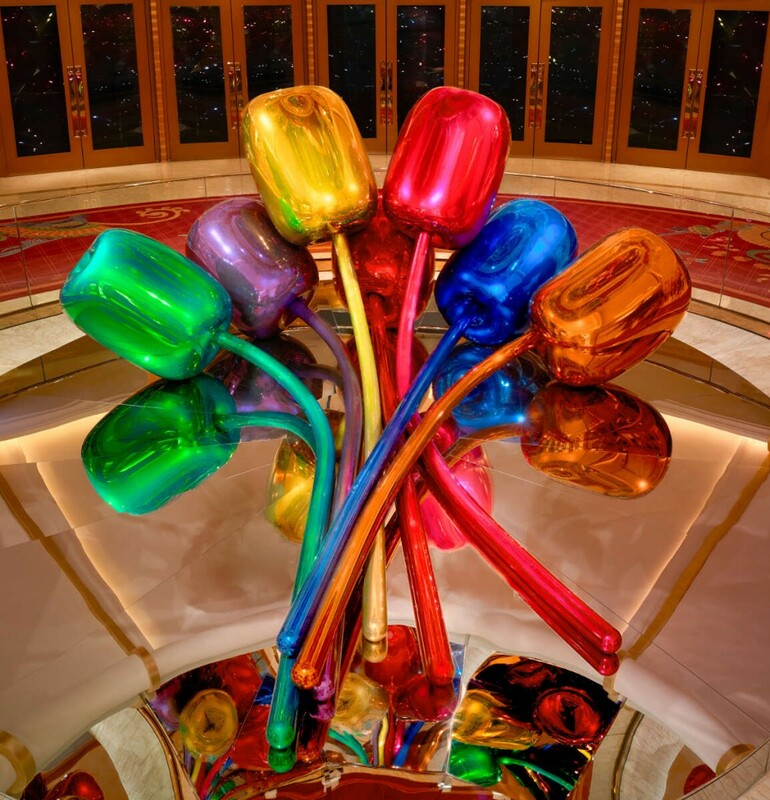 This brilliant piece is the sculptural culmination of artist Jeff Koons’ Celebration series, which Koons has been working on for more than 20 years. 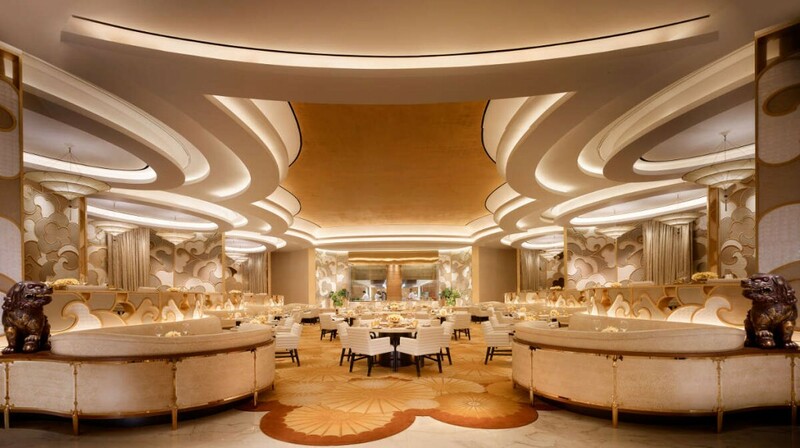 Andrea’s, a Chinese contemporary fine-dining restaurant named after Andrea Wynn, offers a lush contrast and an homage to flowers. 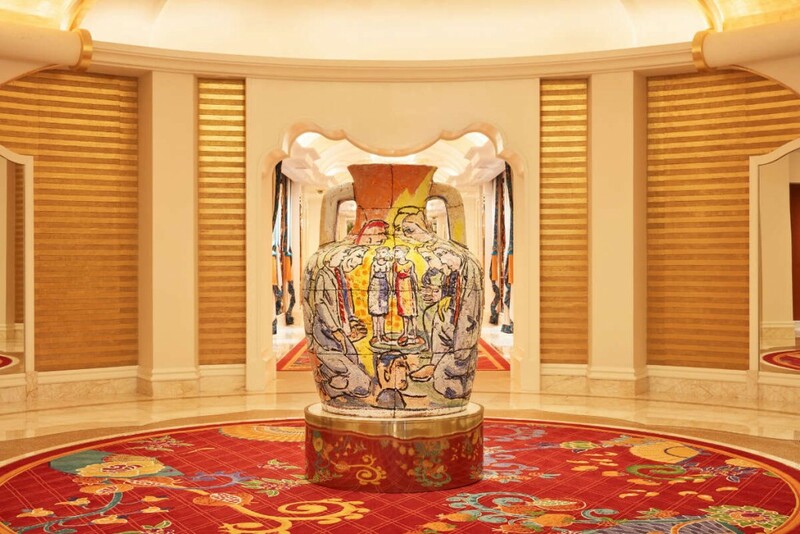 In vibrant shades of red, orange and white, the décor of Cafe Fontana reinvents Chinoiserie in homage to the genius and inventiveness of Imperial China. 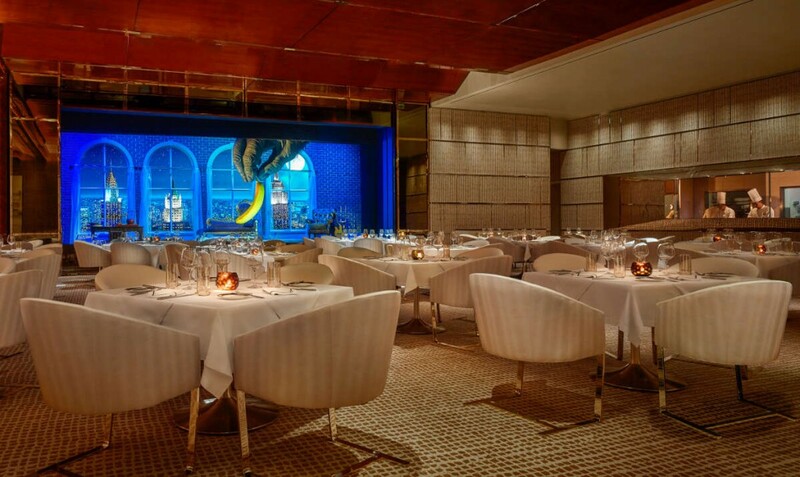 Bearing the initials of Steve Wynn himself, the resort’s steakhouse, SW, has a suitably masculine, understated atmosphere. 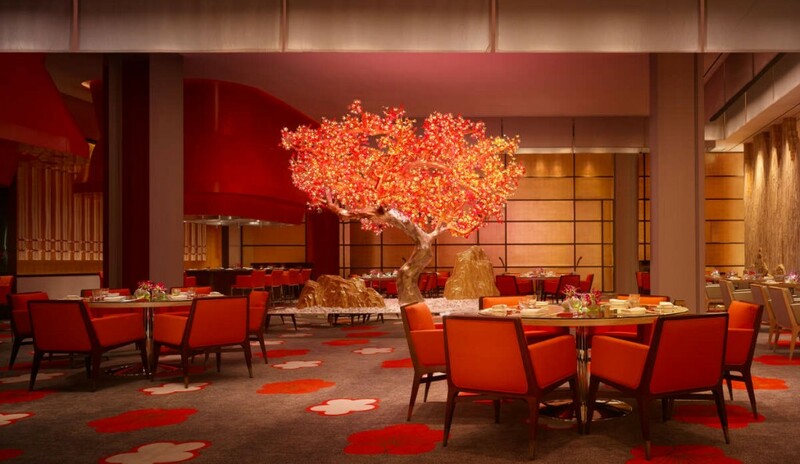 In Mizumi, a Japanese restaurant, a gilded cherry tree cycles through the four seasons in brilliant light and color as guests dine beneath its branches. 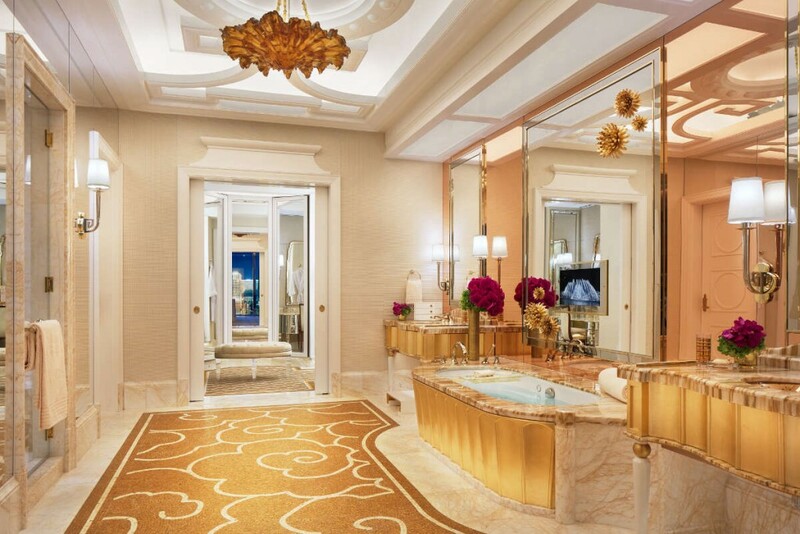 Each of the 1,706 guest rooms, suites and villas in Wynn Palace is artistically designed with luxe appointments including spacious bathrooms. 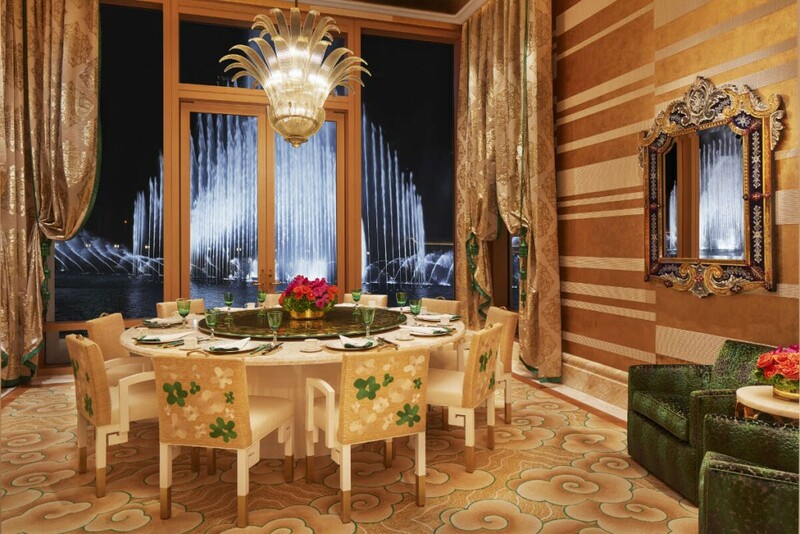 The Chinese-inspired cloud pattern on the floor in this bathroom, in the Penthouse suite, is created by hundreds of custom-designed Venetian mosaics.